Hi everyone I have been busy with workshops, classes, Stampin Bunco, Stamp Camp and needed to take a min to post some of my projects. I really need to start taking my pictures with my camera instead of my phone. I hope you like the ideas. Enjoy the cooler weather. 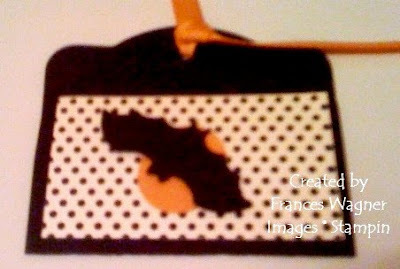 This is a little cute tag that you can put a post it note into for a quick gift. Ilove the little bat punch. 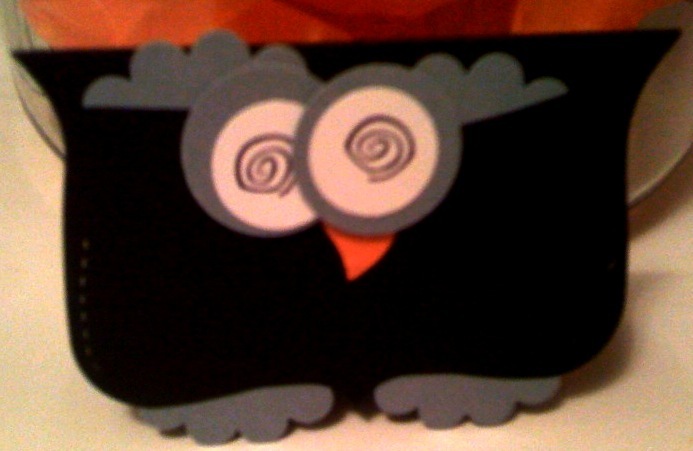 Top Note Owl~ I love this little owl using the Top Note die and scallop circles and reg circles. This is an easy peasy project and it dares to make you smile. Barbara wanted a fall theme and this is the card we made at her workshop. 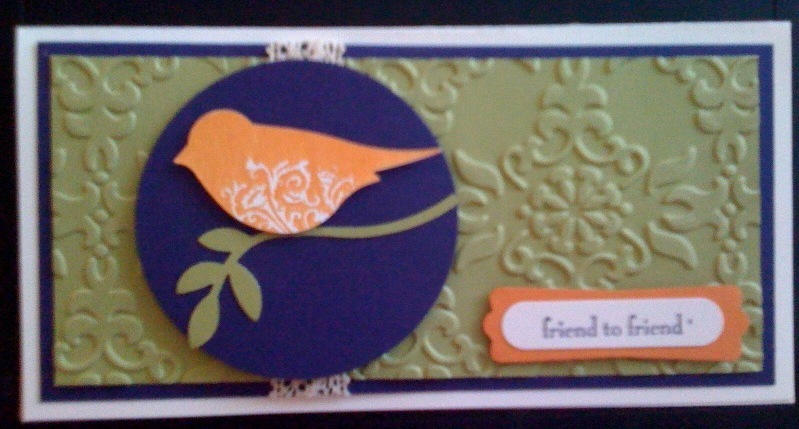 Melodie wanted us to use the bird punch for her workshop and we made this one and they really liked it. This is a masculin birthday card a friend in my building asked me to make. Thanks for stopping by. Good morning, I just wanted to share that I have a new team member Ginger Hunter from Greensboro, NC. I look forward to having her on my team. For joining my team this month Ginger received this awsome tote from Stampin UP and she got my last "Stampin' UP! Build a Bear" that I had saved for my new recruits this year. 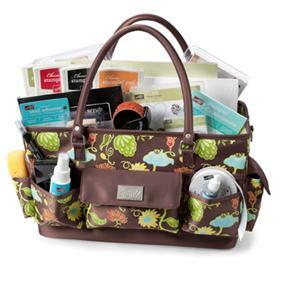 You could have this cute tote too! Just give me a call if you would like the best job in the world, whether you want a part time job to get you out of the house for some adult conversation; while making extra play money or if you want a full time job earning money for the family. Contact me today for more information. If you have made a great scrapbook page or card and feel like it could win in the NC State Fair competition go to the site below at the end of this post and register your creation. There are several catagories to choose from but first you have to register under Professional (meaning if you are a Stamping demo, work at a craft store where you teach classes etc you will have to register under professional otherwise you will register under non-professionals and youth. (check out the rulse below) The first year my stamp club enter between 5 of us we won 15 ribbons and it was great to get the recognition and of course the small $ prize. EXHIBITORS ENTRY GROUPS Exhibitors of Handicrafts shall be divided into THRee groups for entry purposes. 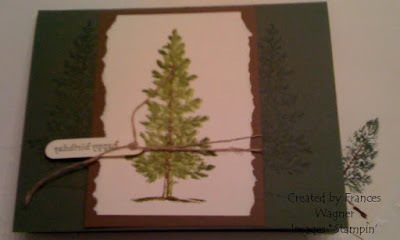 "P"—To include all PROFESSIONALS—That is those connected, now or in the past, with a crafts business or workshop as owner, instructor, attendant, etc. in a capacity that would give the entrant unfair advantage over a hobbyist. If an entrant has gained knowledge in the specific category entered by association with a business or by being an instructor, or making items that are sold for personal monetary gain, the entrant must enter as a PROFESSIONAL in that specific category. "N"—Strictly for the NON PROFESSIONAL HOBBYIST. For those engaged only as a hobbyist and not connected in any way with crafts business in that field or selling pieces. If a person is handicapped, please attach a note to this effect to item being entered. "Y"— Anyone 15 years of age and under. AGE OF EXHIBITOR IN THIS GROUP WILL BE CLEARLY WRITTEN ON ENTRY TAG. Check out the site to register your Stamping/Scrapbooking projects. It is Sunday afternoon and Melodie invited her friends to my house for stamping and fellowship and great snacks. 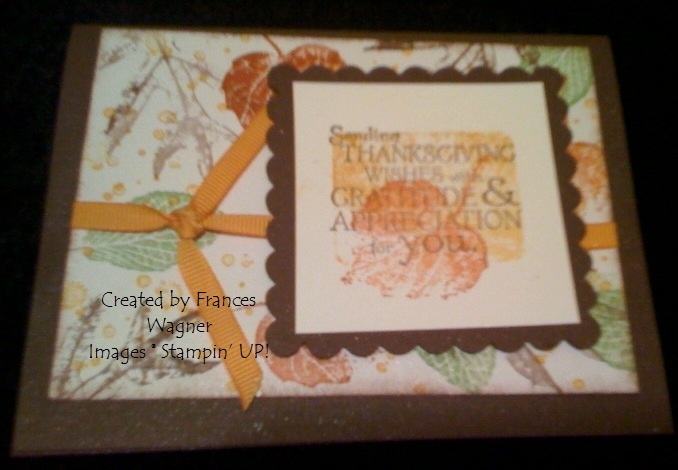 This is the fun card we all made using the FREE Punch Potpourri stamp set that is one of our hostess level one sets. You could have it too. 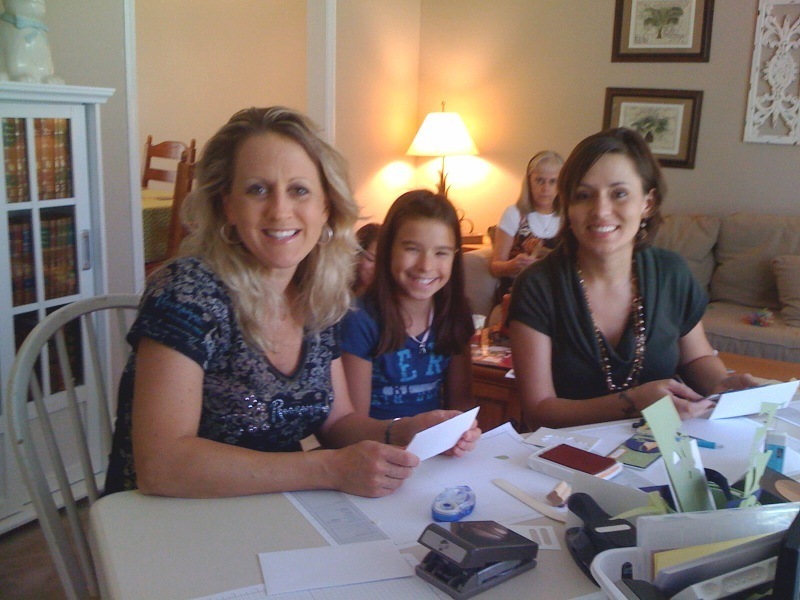 Below is Tammy, Katlin, Melodie and Sandy in the background looking at catalogs! 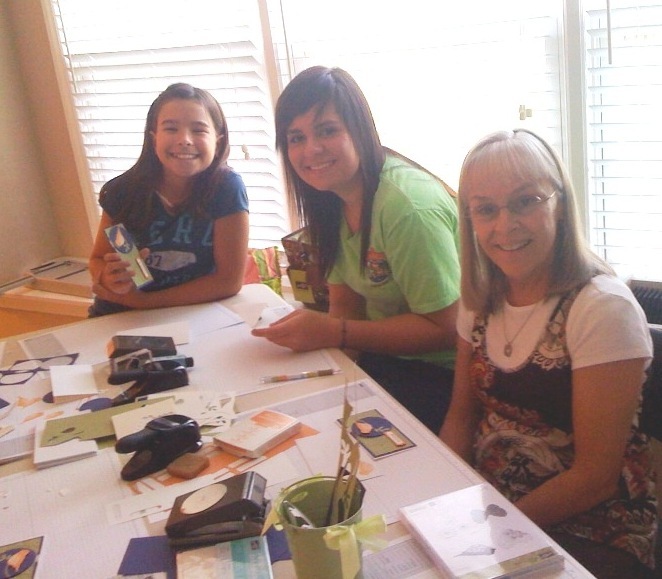 Below is Katlin, Morgan and Sandy finishing up their cards! Below is Renae' and Melodie working on their cards. Renae had so much fun she is having her own party this month. Contact me if you want to earn free stamps and enjoy a party of your own. Thanks for looking.